Sit under the baobab with me now ! 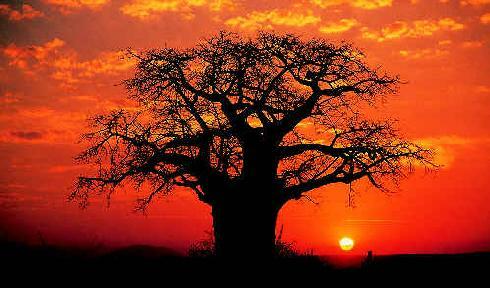 Do you know what a baobab is ? It a tree, native of Africa. In a previous (working) life, before the advent of the Web, I worked for ESA (the European Space Agency) – a great job offering the opportunity to meet people from literally all over the world: in many ways it was like a primitive WWW. I left many friends behind way back in 1994, but one was very special – his name is Omar, Omar SY, a great guy and superb professional with an unlimited passion for aviation and piloting aircrafts. Of African origins, he was born and raised in France, and settled down in Holland where he married and settled down. Omar would tell me stories of Agadir where his father had retired, and where he had been many times as a child and an adult. That phrase had a special meaning. I never forgot the baobab and how nice it was to sit there and discuss matters – I’d like you to sit under the baobab with me whenever you feel like it . I set up my baobab on Facebook. How does my baobab on Facebook work ? You have something on your mind that’s not quite search engine oriented but nonetheless like to start a thread on it with me and hopefully get others to join us ? Leave a message on my wall. Go and write on my wall now ! Share some views about yourself, your work, music you like, and (above all) funny videos.